The PTSA held the Senior Dinner, along with Senior College Night, on Aug 30. The Senior Dinner occurs annually to inform senior families of important information regarding colleges as well as the All Night Graduation Celebration (ANGC). 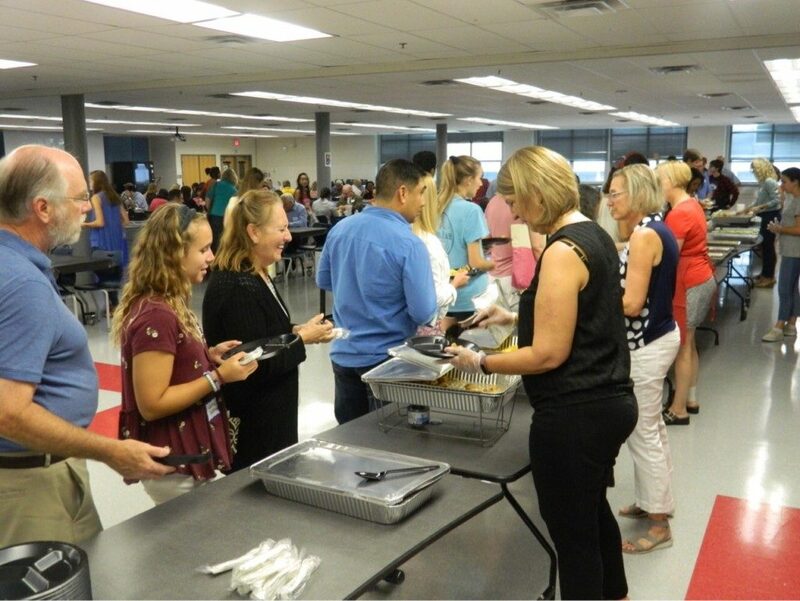 During the event’s first hour, seniors and their parents ate dinner in the cafeteria while listening to a presentation about the ANGC that included information about how the event is funded, how many seniors attend each year and how many volunteers would be needed. Afterward, event staff lead the group into the auditorium where the program’s speakers, including the school counselors, gave another presentation in order to help the families navigate the college application process. Some details they focused on were deadlines, such as early decision and early action dates, how to fill out certain applications, and more general information. Although the event aimed to help ease the stress of college applications and inform families, several seniors chose not to attend. Among them was senior Laila Yun, who said she felt she didn’t need the information. “I didn’t go to Senior College Night because I’ve been working on stuff for college pretty much all through the summer, so I thought I didn’t need to go,” Yun said.